GBL RGB Flex LED 3M has 90 SMD RGB LEDs on a 3 meter (10' Length). Includes strong double sided tape. 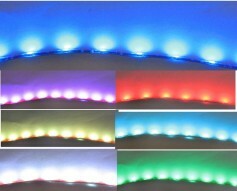 GBL RGB Flex LED 5M has 150 RGB SMD LEDs on a 5 meter (16.6') Length. Strong double sided tape on the back for easy install. GBL RGB Flexible LED Strip Lighting now Stocked in 25M (+80') length, has 750 RGB LEDs, ideal for Contractors & dealers to easilly cut to customized lengths. These RGB LEDs are shipping from Vancouver, BC, Canada. -4 Wire Leads that can be connected from one strip to the next. -3M double sided tape on the back for easy installation. -cULus Listed, file#E365816. 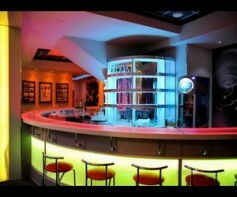 CSA and UL Listed RGB colour changing LED Strip lighting. -Versatile size that can be used in virtually all indoor & Outdoor Applications. 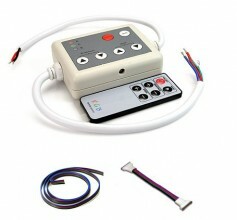 -Great for use with Solar Power or on Boats and RV's. -Easy Installation with double sided tape. -Flexible light that can be used in locations that are virtually impossible using other light sources.